Looking for wireless access to email, calendar, contacts, or tasks using your mobile device? MDaemon Messaging Server works with many popular mobile devices, so that regardless of platform you will have access to your important information wherever you are. MDaemon Messaging Server includes a single interface to easily manage the growing Bring Your Own Device (BYOD) environments of SMB /SMEs. 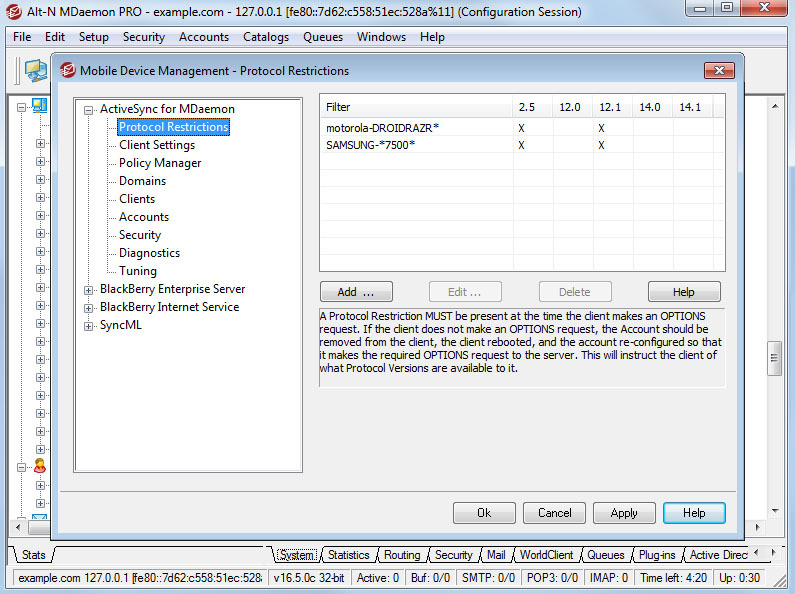 Smartphones and tablets that run Android, iOS, Windows and BlackBerry can be managed from a single user interface within MDaemon's console or via its remote administration client (WebAdmin). 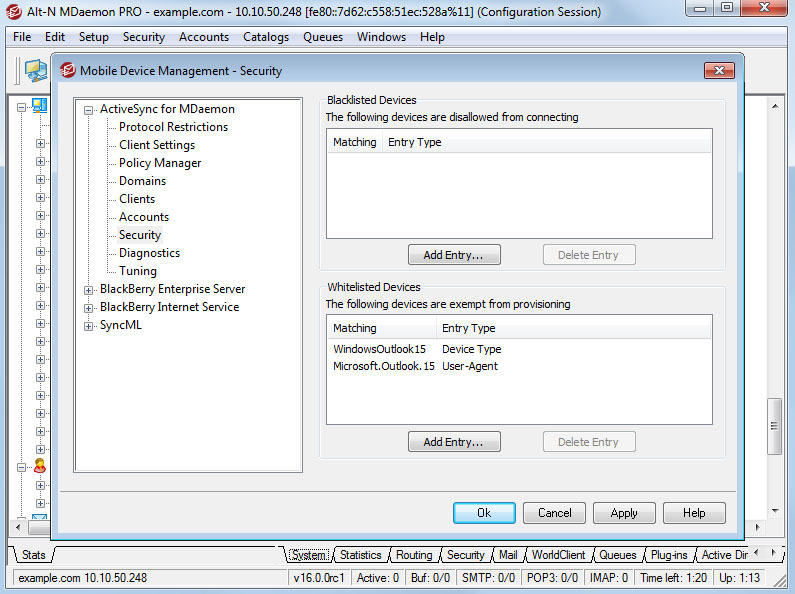 Devices can be managed via Microsoft ActiveSync® or MDaemon's integrated BES. 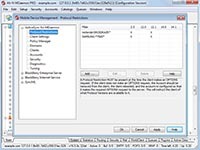 With either, IT policies can be configured to require a password, lock the device after a period of inactivity, or wipe lost or stolen devices, or you can create custom policies to fit your environment. 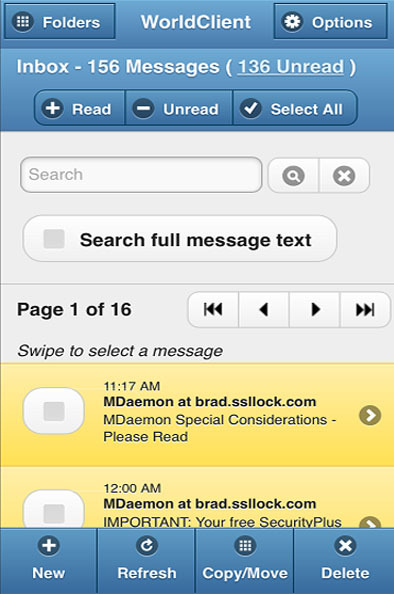 The WorldClient (MDaemon's Web-Based Email Client) Mobile theme allows MDaemon users to access their email, calendar, contacts, tasks and notes on their smartphone or tablet. 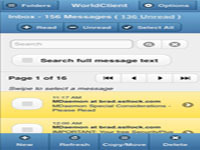 The WorldClient Mobile theme is optimized for smaller screens. 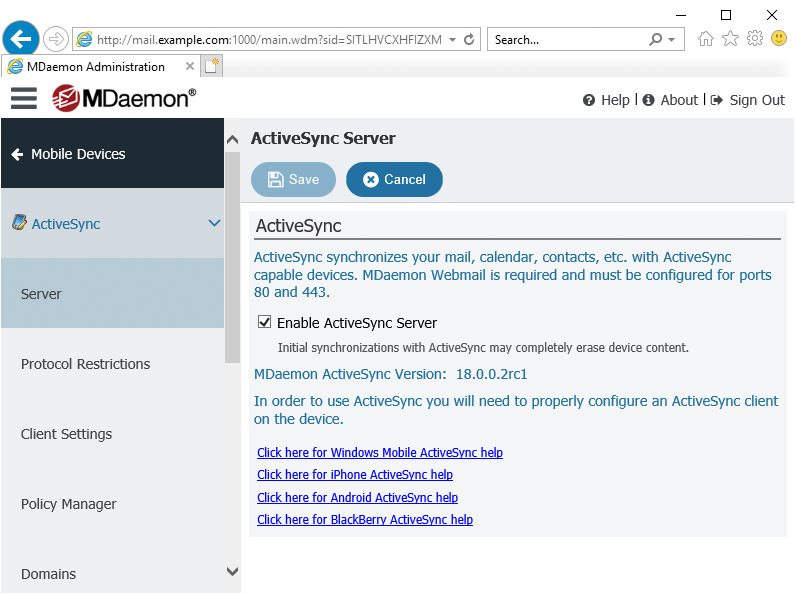 All mobile device management features, including ActiveSync, SyncML, BIS and BES, can be configured from within the Mobile Device Management menu in MDaemon Remote Admin (WebAdmin). 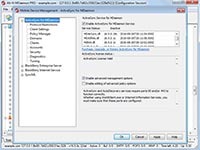 MDaemon Messaging Server* includes support for the latest version of Microsoft Exchange ActiveSync (EAS) (2.5, 12.1, 14.0, and 14.1 Protocols), which is a separately licensed ActiveSync (AirSync) server. 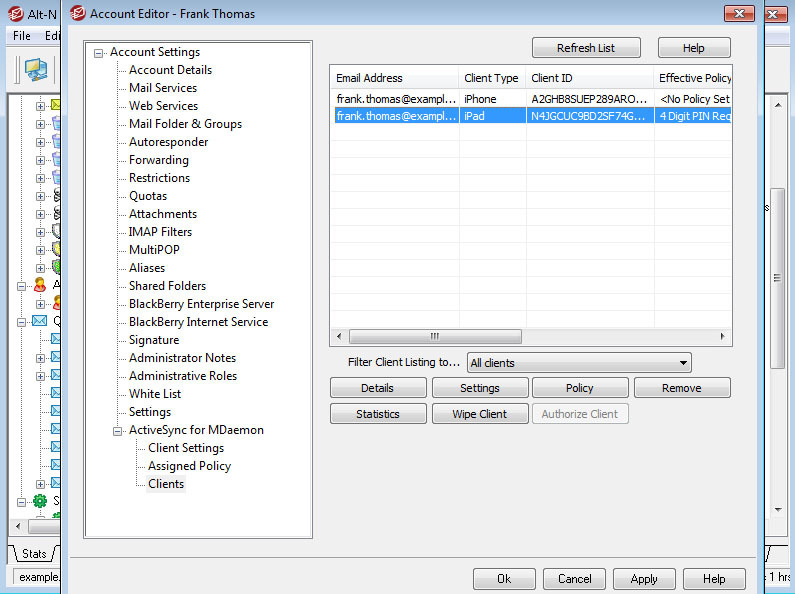 ActiveSync provides native synchronization of a user's default email, calendar, contacts, and tasks data between the MDaemon server, WorldClient (MDaemon's web-based email client) or Outlook (using the Outlook Connector plug-in) account and an ActiveSync capable device. Other features include: Customizable Device IT Policies, Remote Wipe, Autodiscovery, Multiple Folder Synchronization, Global Address Lookup, SSL Encrypted Transmissions, Device Whitelists and Blacklists, Forgetting Inactive Devices, and Device Protocol Restrictions. ActiveSync provides the highest level of integration for the latest mobile devices, including iPhone / iPad, BlackBerry 10, Android, and Windows Mobile / Windows Phone. It is also available on most other mobile platforms. 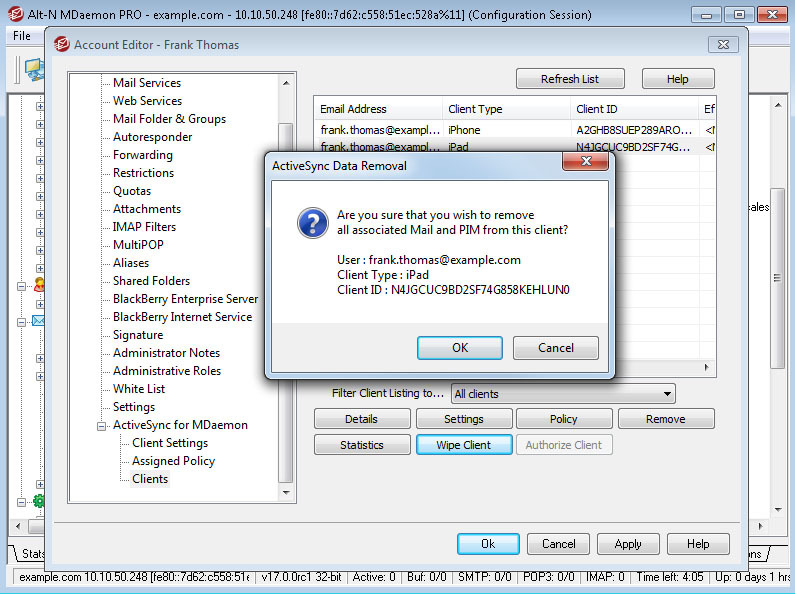 ActiveSync also minimizes the amount of data that is sent over the mobile network. 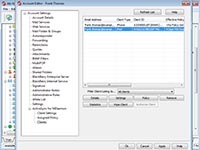 ActiveSync for MDaemon installs along with MDaemon but it is a separate product from MDaemon and will only run as a trial for 60 days. After that, a one-time fee is required. The trial begins when you install MDaemon and enable ActiveSync for the first time. 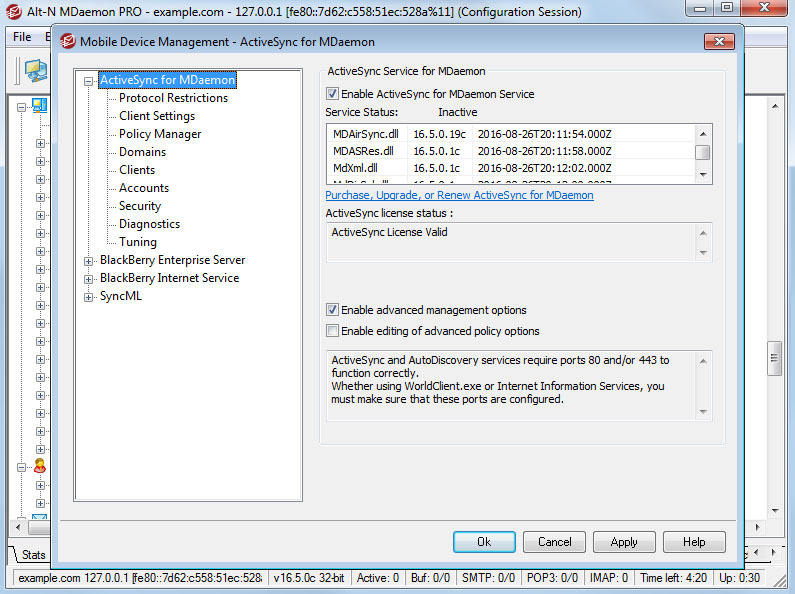 *ActiveSync does not work with MDaemon Standard version. MDaemon mail server provides IMAP support for mobility, message folder sharing, and even email account sharing by multiple users, plus the centralized storage, filtering, and manipulation of messages in private, shared, and public folders on the email server. The IMAP (Internet Message Access Protocol) allows the users to work with their messages in both online and offline modes. 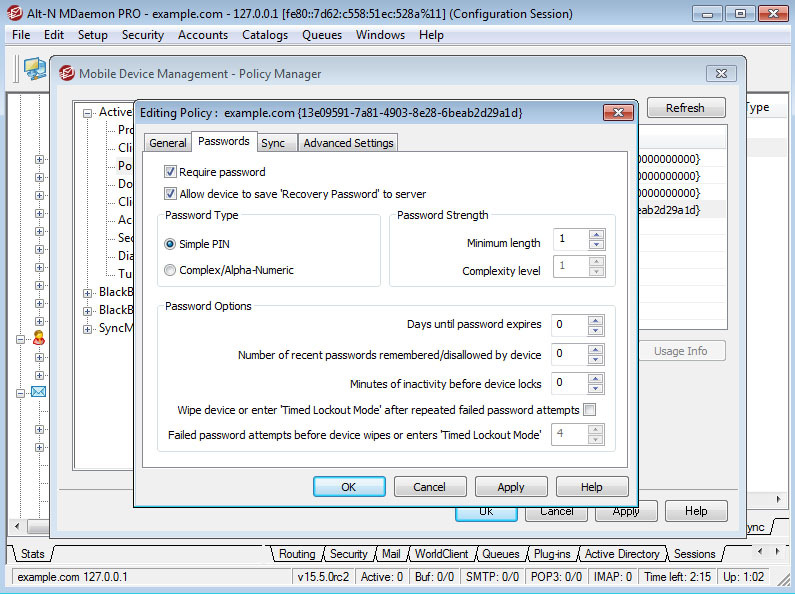 The IMAP-capable device retrieves the messages' headers from MDaemon and stores a local copy. 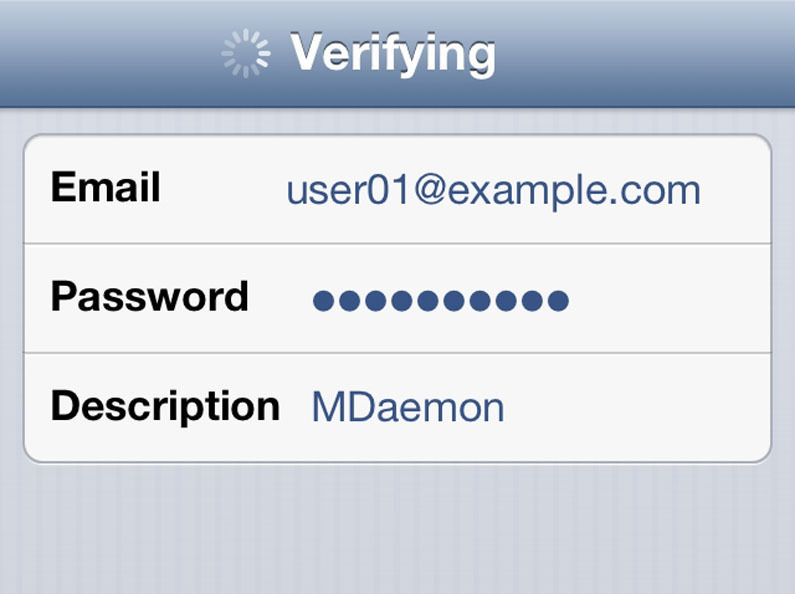 All the messages are left on MDaemon mail server until they are deleted by the user. 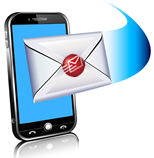 POP3 (Post Office Protocol version 3) allows users to retrieve e-mail messages, with any device, from the MDaemon mail server. 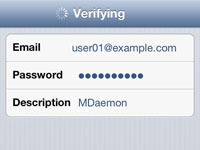 Once the email messages are downloaded from MDaemon they can be modified, read and manipulated offline. MDaemon includes a built-in SyncML server. 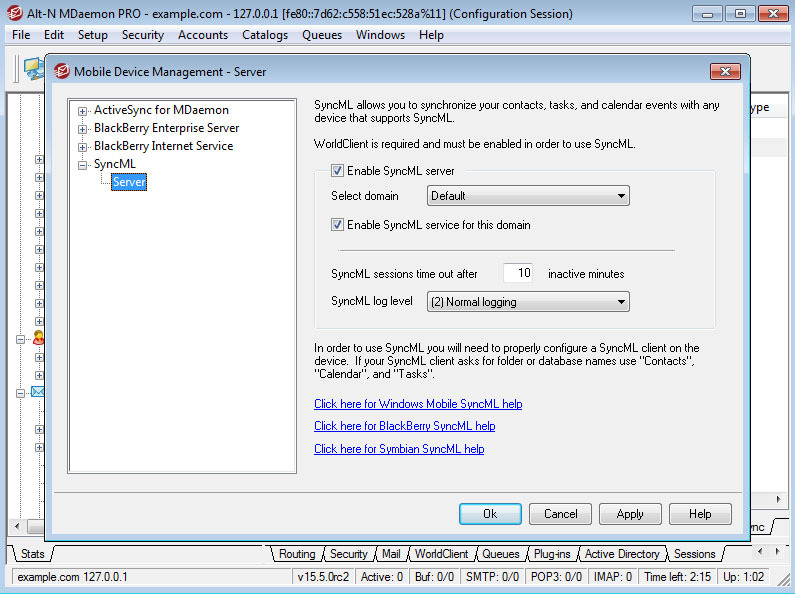 SyncML allows you to synchronize your contacts, tasks, and calendar events with any device that supports SyncML. US Size | A4 Size | P????? ?